NBA – Before the Cleveland Cavaliers and Milwaukee Bucks tiff off game in BMO Harris Bradley Center. LeBron James is currently 9th in NBA Scoring List with 27,408 career points and he is 1 point of tying and 2 points away of surpassing Moses Malone, who is currently 8th in NBA Scoring List with 27,409 career points. 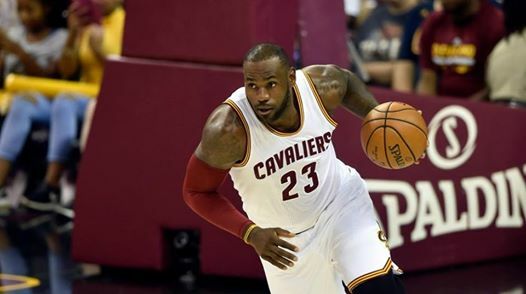 With 9:15 in the 1st quarter of the game, LeBron James grab an offensive rebound after a missed shot by his team mates and made a lay up to surpass the Hall of Famer and 3 time NBA MVP Moses Malone to move up in the 8th position in NBA All-time Scoring List. James, is now trailing his former team mate in Cleveland during the 2009 -2010 NBA Season. The Hall of Famer, 4 time NBA Champion and former NBA MVP Shaquille O’Neal. O’Neal is currently in 7th place with 28,596 career points with 1000 plus points away from now 8th placed LeBron James. If LeBron James, continue to averaged 25 points per game? he will likely to pass Shaquille O’Neal by the end of this 2016-2017 NBA Regular Season and with 57 games more to play including their game tonight against the Milwaukee Bucks and assuming that James will play all the remaining games of the season which we all no that it will not happen but still James have the big possibility of surpassing Shaquille O’Neal. James will only need to maintain his averaged points of 25 pts. a game or better to add 1,425 points in 57 games? by the end of this regular season plus his current career points as of this today December 20, 2016 (US Time) he is more likely to have a grand total of 28,834 NBA All-time Career Points. Enough to grab the 7th place of NBA All –time Scoring List. No Comment to " LeBron James Moves Up In NBA Scoring List Surpassing Moses Malone "